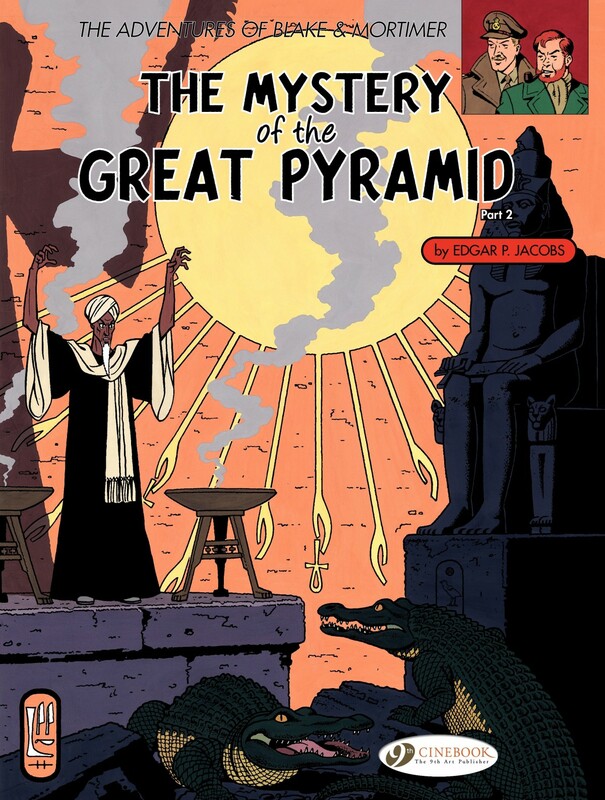 The Mystery of the Great Pyramid is the second of Edgar P. Jacobs’ revered Blake and Mortimer adventures. 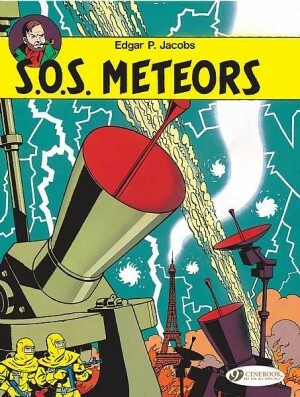 These stories take place in an alternate-history version of the late 1940s and 1950s in the aftermath of an atomic third World War, which was won by the ingenuity and scientific knowledge of the two dashing British heroes. Volume one of this adventure ‘The Papyrus of Manethon’, began with the discovery of a potential secret tomb hidden underneath the Pyramid of Kheops. Professor Philip Mortimer comes to Cairo at the invitation of his friend Professor Ahmed Rassim Bey to help him decipher the hieroglyphics that will find the tomb, the legendary resting place of the treasure of Akhnaton. However, Professor Bey’s assistant Abdul is working with crooks who intend to seize the treasure for themselves. When Mortimer discovers the gang are led by none other than the master criminal Colonel Olrik, he wires Captain Blake in London to fly out and assist him, but Blake only makes it as far as Athens. Volume two, ‘The Chamber of Horus’ begins eight days after the end of volume one. Mortimer has no leads to Olrik’s whereabouts, but a visit to the home of eccentric German antiques collector, Doctor Grossgrabenstein makes him think the two are working together. The connection between them is eventually revealed in a very twisty sequence of events which sees Mortimer and his servant Nasir risking their lives in deathtraps, secret passages, car chases and hand-to-hand combat with Olrik’s gang. Jacobs uses his considerable dramatic storytelling skills and brilliant ligne-claire drawing to resolve all the mysteries he sets up in the first volume, including that of Captain Blake. The Mystery of the Great Pyramid is a superbly plotted detective story with added fantasy elements that deliver a satisfyingly grand finale. 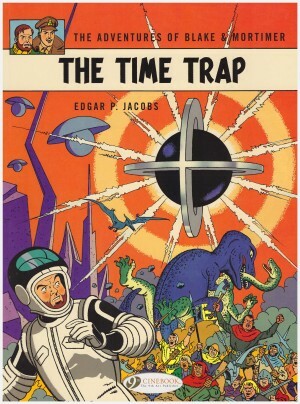 Time has blunted the originality of the story ideas, used and re-used so many times that they are clichés now, and the action occasionally suffers from Jacobs’ tendency to over-explain every detail of his plots. The final eight pages are one long recitation of the history of Akhnaton and the worship of the Sun God Aton, with a little detour to explain how our heroes fit into the mystery. It’s admirably thorough but it feels like being forced to clear your plate before you’re allowed to leave the table. You may be tempted to skip a page or two to get to the last plot twist. 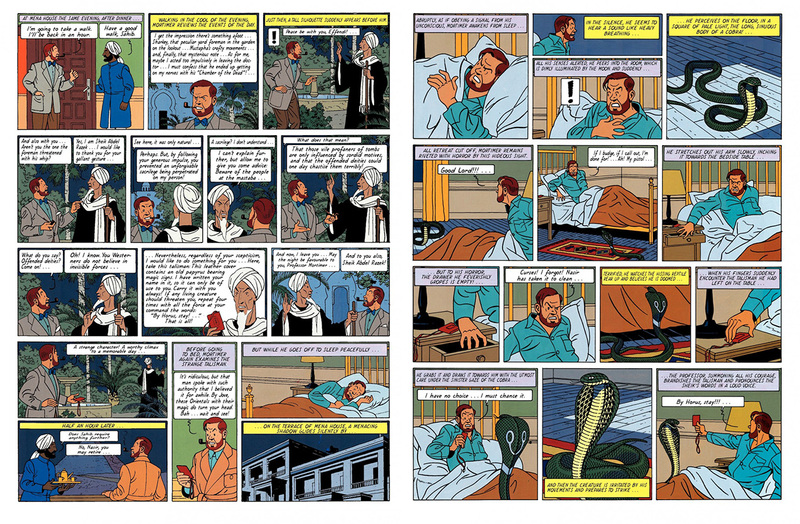 Jacobs doesn’t have Hergé’s lightness of touch, but his intensely atmospheric style makes up for it in other ways. 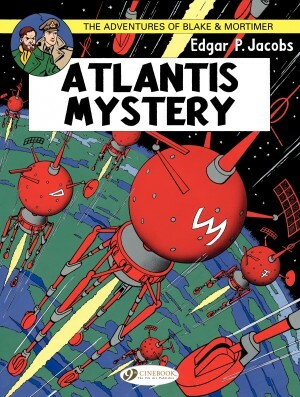 Fans of Tintin and similar period adventures will find this entertaining and memorable. 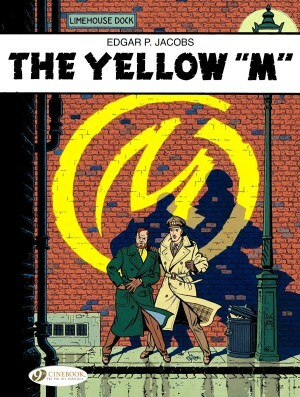 The science fiction devices return in a big way in the next Blake and Mortimer book, Jacobs’ most famous and best-loved work: The Yellow “M”.